An array of watersports will keep you busy all through out your stay. 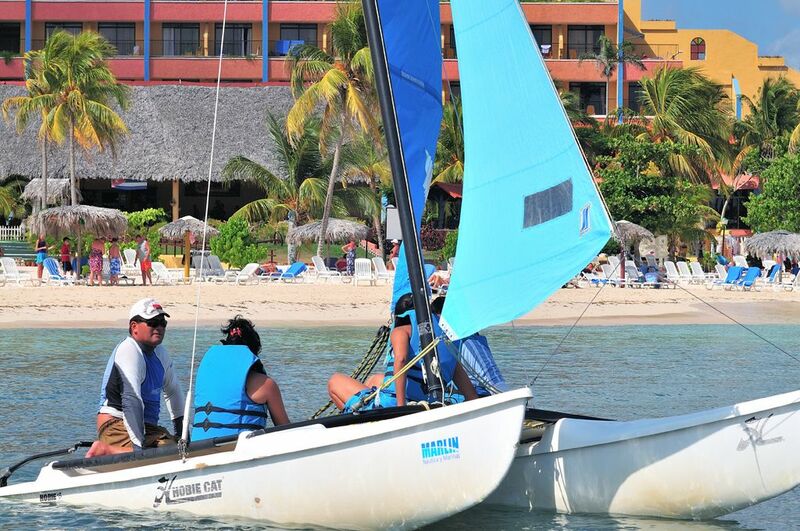 Windsurfing, Catamaran and Sailing are the people’s favorite watersports, but also snorkeling and other choices complete a program for a do everything vacation. Scuba diving demonstration is also included. Get wet in the blue ocean of possibilities that Brisas has to offer. In Guardalavaca , Don Lino, Esmeralda and Pesquero beaches you can find the means to practice and enjoy the windsurf and the catamarán, canoe and aquatic bicycles. Natural Park Bahía de Naranjo offers, in the aquarium, shows of sealions and dolphins, it also organizes seafaris, tours along the shore and fishing tours. Provisioning services, repairs, hardware store, ports and customs authorities.